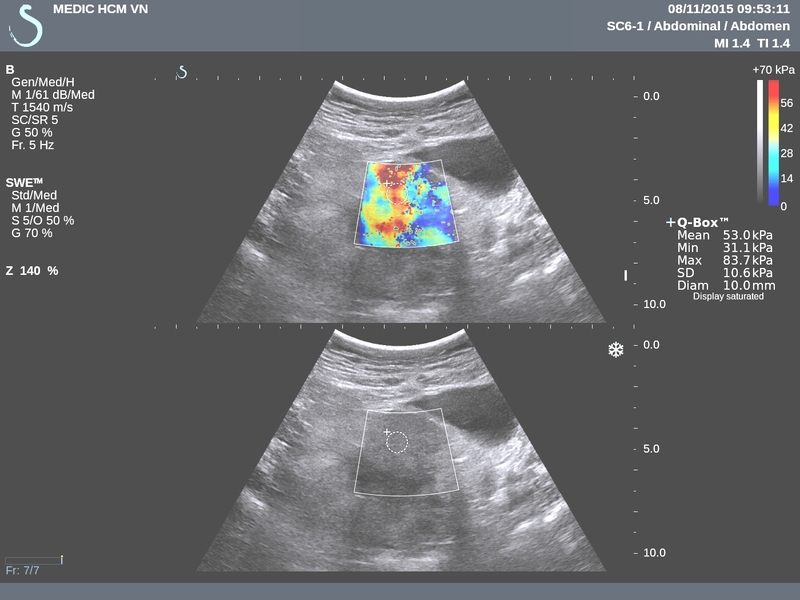 VIETNAMESE MEDIC ULTRASOUND: CASE 348:STRUMA OVARII, Dr PHAN THANH HẢI, MEDIC MEDICAL CENTER, HCMC, VIETNAM. 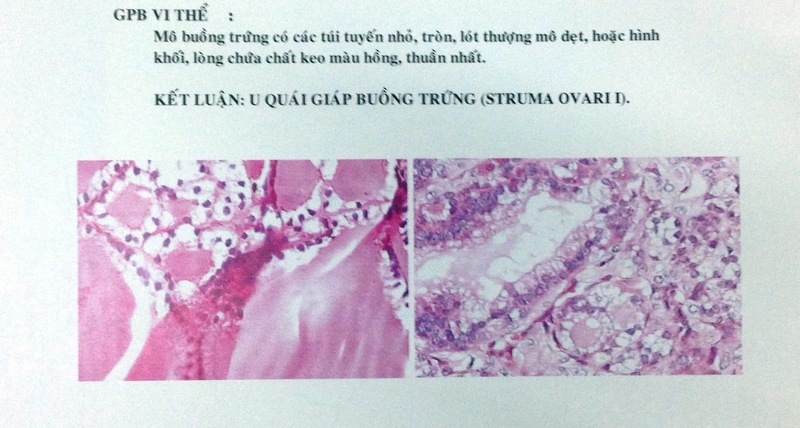 CASE 348:STRUMA OVARII, Dr PHAN THANH HẢI, MEDIC MEDICAL CENTER, HCMC, VIETNAM. 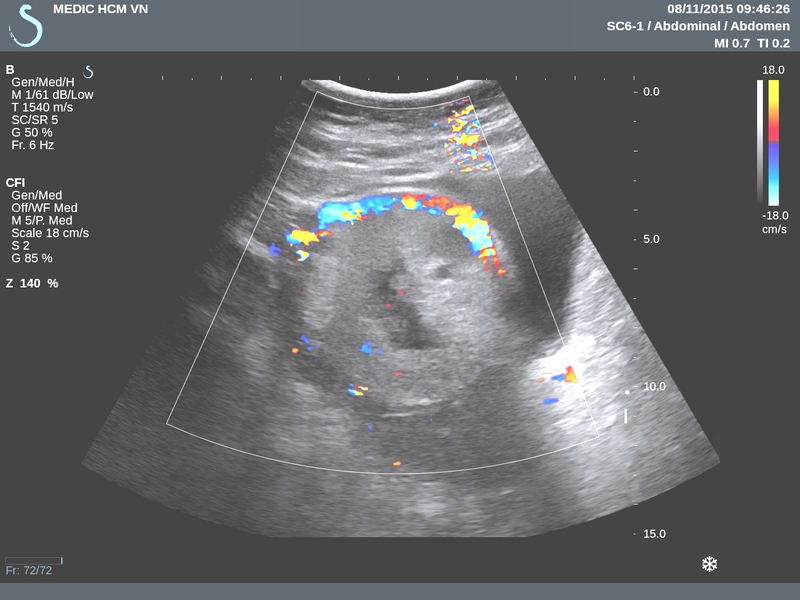 Woman 57yo, in general check-up ultrasound detected right ovarian tumor [image US 1( B mode), size of 5 cm, round border and central necrosis with vascular covered around ( US 2). 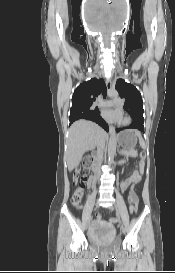 US 3 elastoscan of this tumor is hard= 53 kPa and inhomogeneous. 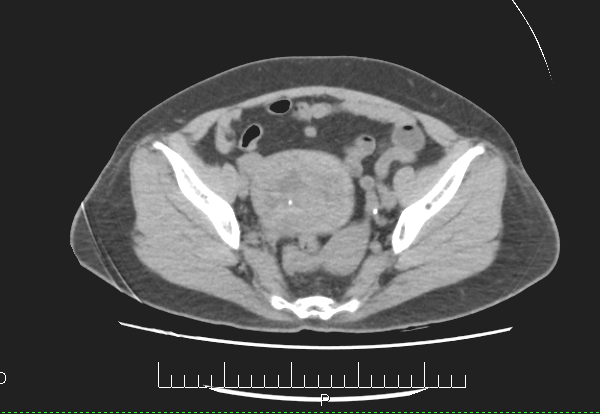 MSCT non CE: Right ovarian tumor was round border, central necrosis, no ascites and uterus is in normal structure (CT 1, CT 2, CT3). Blood test = ROMA test is normal. OPERATION FOR REMOVING THIS TUMOR. 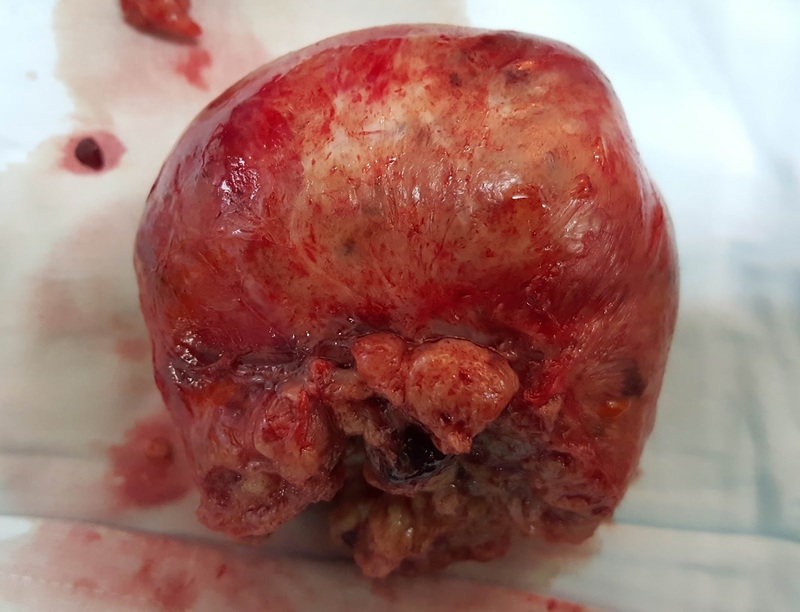 IT IS RIGHT OVARIAN TUMOR, WELL BORDERED, HARD, NO INVASION TO AROUND PELVIS ( PHOTO MACRO). 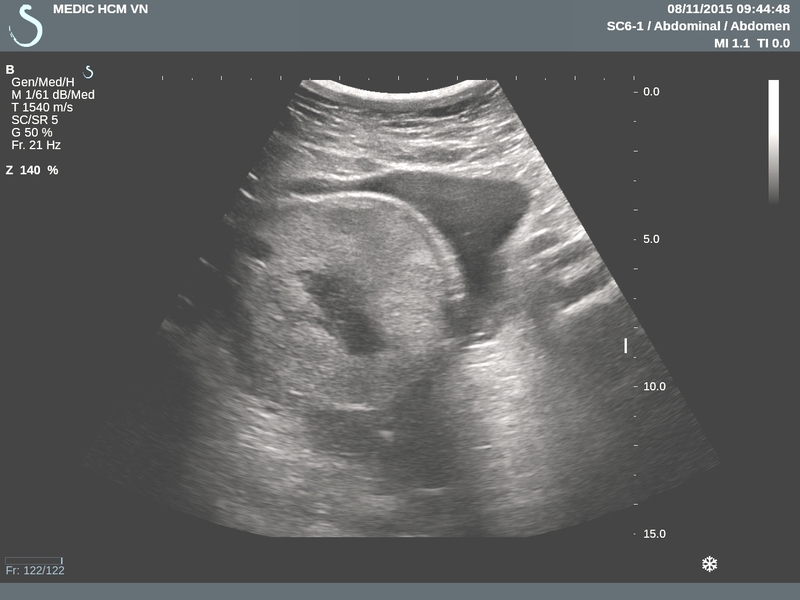 MICROSCOPIC REPORT IS STRUMA OVARII.